The end credits scenes in Ant-Man and the Wasp are deliberately meant to leave you asking questions—questions that won’t be answered until next summer’s Avengers 4 at the earliest. But the film’s director, Peyton Reed, was able to explain a few things about the scenes, including how the scenes came about, why they are what they are, and more. The “who and how” is that Scott Lang gets stuck in the Quantum Realm while Thanos’ snap kills Hank Pym and Janet and Hope Van Dyne (which io9 discussed at length here). They decided to keep it relatively simple and leave the fate of most of those characters unanswered. The scene also felt right to Reed because it once again makes Scott an outsider, keeps the whole Pym/Van Dyne family together (in a way), but is still jarring for the audience—just how Reed wanted. 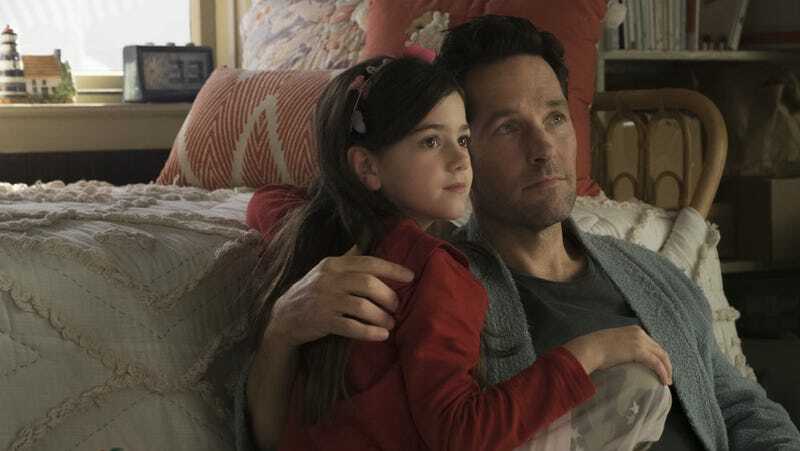 Just when you thought you had your daughter back, you get stuck in the Quantum Realm. Ant-Man and the Wasp is now in cinemas across the UK and Ireland.